At this week’s CTIA Super Mobility Week 2015, ORBCOMM’s Craig Malone, EVP of Product Development, had the opportunity to share how he sees hardware is driving advanced efficiencies in the world of M2M and IoT. As frequently reported, the number of M2M and IoT devices going online is set to explode into the billions. Also poised for extreme growth is the amount of data traffic. 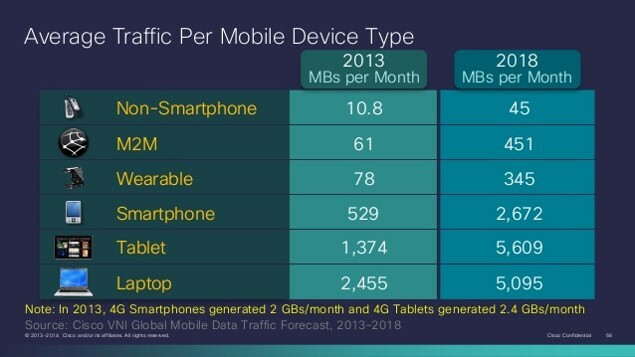 According to the Cisco VNI Global Mobile Data Traffic Forecast 2013-2018, average data traffic from M2M devices is expected to grow to 451 megabytes per month in 2018 compared to 61 megabytes per month in 2013. That is more than a seven fold increase in traffic in five years. While not all devices will send megabytes of data, the fact remains that this dramatic increase also impacts the load on communications networks. It also means increased costs to end users as more data is sent wirelessly. At ORBCOMM, we see local hardware as the first opportunity to drive efficiencies and cost reductions for the end user. 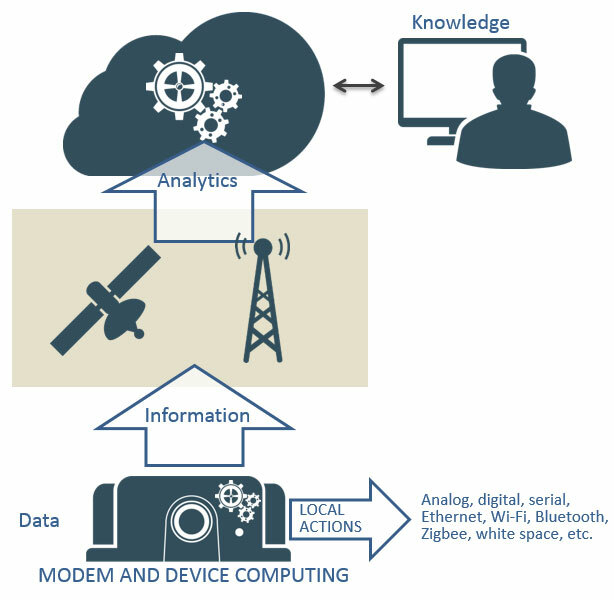 Instead of the standard “data in, data out to cloud” model, hardware devices provide the opportunity to not only gather more information but also sort, analyze, compute and act locally. The ability to take big data and convert into smart data locally means faster response times to events, lower airtime costs and greater resilience to network outages. ORBCOMM is not the only company that is driving towards a distributed computing model where data is processed inside and outside of the cloud. Cisco has been promoting the concept of Fog computing where cloud computing is pushed to the edge of an enterprise’s network. Touted as the future of cloud computing, fog promises reduced congestion, cost and latency, improved security of encrypted data as it stays closer to the end user and improved scalability arising from virtualized systems. It also provides high levels of scalability, reliability and fault tolerance. Looking ahead, ORBCOMM sees the continued trend towards more sophisticated hardware. In earlier versions of our devices, digital, analog, serial ports were standard interfaces. Now our customers need so much more. For example our SG-7100 cellular gateway has the option to be equipped with Ethernet, Bluetooth, CANbus, satellite, cellular, Wi-Fi and much more. It can also be programmed using Lua or Linux scripts. These capabilities give the device the flexibility to be deployed in both a fixed or mobile asset tracking application. On the modem side we see a consolidation of services. Just like many cellular modems can support various protocols, ORBCOMM is working towards satellite modems that support multiple protocols. As the world becomes more connected and more devices go online, it is evident that edge computing will be a must as opposed to a “nice to have”. This will drive the need for more interfaces to connect to more sensors and devices, and more computing horsepower at the edge to support local intelligence. Tell us what you think: How do you see hardware driving efficiencies in your industry?